We have street parking and Everett Park is just across the street and free after 5 pm. With over 30 years of experience cooking in Snohomish County, our chef is excited to present his vision to you and all our guests. Our caring and committed staff will ensure you have a fantastic experience with us. The service was excellent and the food came out perfect. Every person working there gave my daughter personal attention for her birthday and a free dessert! Great local establishment that I will continue to support. Overall, I highly recommend Abbott's. The staff was friendly and efficient; the atmosphere was conducive to conversation; the food was well presented and seasoned. we are giving them a four star rating (if four and a half was available, I'd give them that) only because the special of the evening, Mahi Mahi, came dry. The vegetables and risotto were wonderful, as was the Mandarin Salsa. Went to Abbots hoping finally a restaurant in Everett a step above Anthony's. The only thing I can really give a two thumbs down on is my $49.00 rib eye steak. The steak which I ordered medium came to the table rare so I sent it back, it returned cooked correctly and was flavorful. Normally I don't order steak when going out unless we are at Daniel's Broiler or Ruth's where I have never had the need to return a steak to be cooked as I ordered. The server mentioned the cooks usually cook steaks under done when I ordered; I guess I should have ordered medium well or well done. I think for the price I shouldn't need to watch my wife eat her meal while waiting for the cook to take my steak and slap it back on the broiler and cook it haw I ordered it in the first place. My wife's meal chicken wrapped lobster was good however nothing real special. Birthday dinner. The food was excellent. Excellent restaurant. Nice, quiet restaurant, good ambience. The menu was wonderful and food delicious. Highly recommend. Our third time in and first two times were great. This time place was empty on a Friday night, not a good sign. Food seems to have gone downhill. I ordered the swordfish and couldn’t cut it with my fork. She came over to see if they had cooked it right. I told her the flavor was fine but the texture was chewy (and yes, I’ve ordered and have eaten swordfish elsewhere) but it was fatty and had raw section in center. I could not finish it. The brown rice and quinoa tasted like the packets from Costco, it had that same weird microwaved in a plastic bag taste. Rest of family had steaks and ribs and they were all good but this is not fine dining. You cannot expect people to pay $300 for dinner and get a star tomato and orange slices as a garnish. Great staff and a nice atmosphere. Parking was not close, Food was ok and very expensive. Great service compromised by up/down food. First, the down...Salmon was a bit overcooked, the seafood topping was VERY salty, and the risotto was a bit gummy. The upside was the veggies... perfect! 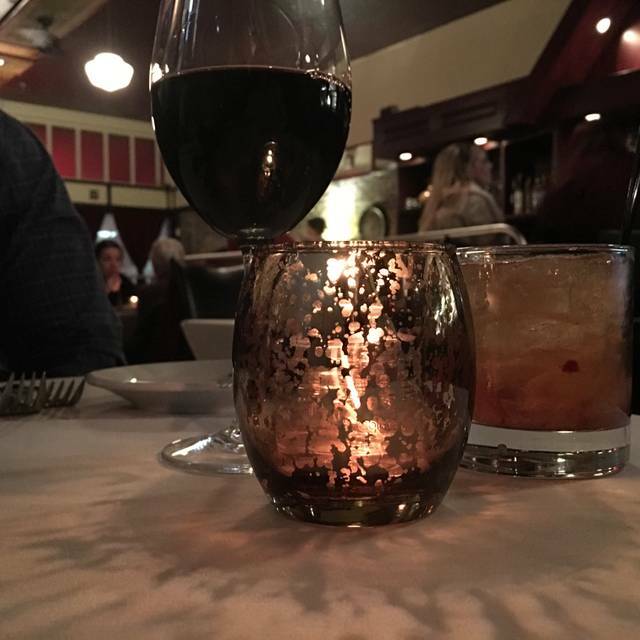 The staff was very friendly, the decor is very cozy yet elegant, and the food is very good. We would go there again. it was a fun place to meet friends ! Best restaraunt in Everett. Don't be fooled be non-descript front. Go on in! Wonderful food and service. The waiter did accidentally spill my husbands wine and was very apologetic. He even bought us dessert. Very nice place! Amazing place, great food, and a wonderful experience. The parking is off street so plan on a few laps to find a spot, but well worth it. Very nice, classy and romantic dinner. James has done a great job bringing a high end dining experience back to Everett. The food was delicious and the service exactly what you would expect! Food was excellent and the service was prompt and friendly. Great experience and will definitely return again. The food was terrific! I had a salmon special and my guest had the pork chop. Large, tasty portions. The service was good. Price for quality product is more than reasonable. They have a nice wine list. My only regret was that we were too full for dessert. Another great meal. 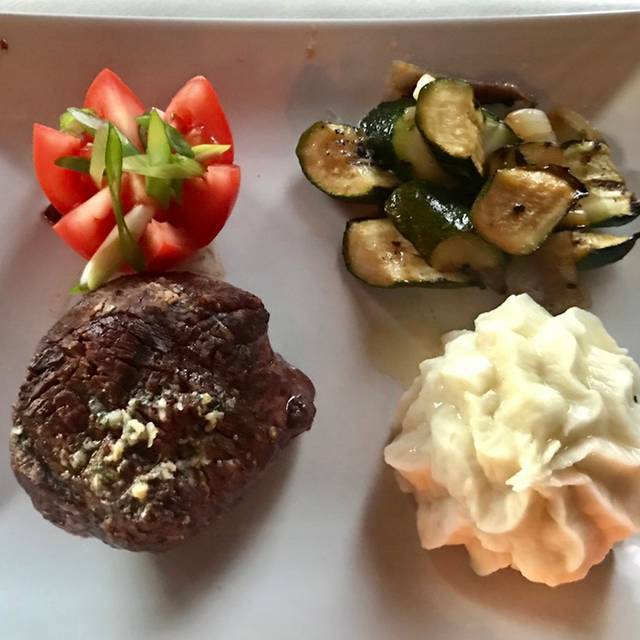 One of our guests said his steak was the best he has ever had. We have been to Abbott’s many times and love the setting, food and service. A real gem in Everett! Amazing all the way around!! My wife and I had dinner on a Friday evening. I made a reservation. Our table was ready for us as soon as we arrived. The service was excellent. The waitress quickly took our order for wine and appetizers (oysters). The wine arrived in 5 min and the oysters in 10 min. The oysters tasted wonderful. Our waitress seemed to check on us every 5 minutes. I drink a lot of water during dinner. My water glass never went empty. The entrees were just was wonderful as the appetizer. Very delicious. The owner stopped by to talk to us twice and make sure everything was okay. How delightful! My only complaint is the chairs at our table for two. Our table had big leather easy chairs, the kind you would find in someone’s living room. The chairs were heavy so it was difficult to move the chairs close to the table or away from the table so I could stand up. And when I leaned against back of the chair, I could not reach my plate. I noticed that our table was the only one with the big chairs. All the other tables had standard dining table chairs. We thoroughly love this restaurant. Very happy to have something like this in Everett. We also enjoy Scott, the waiter. Always great service! Amazing food and atmosphere! The staff were very friendly and accommodating and the chef/owner even came and introduced himself. What a cool find in Everett! Great atmosphere great people great food. Very lucky to find this place. Everything we had heard is true! The food and service are fabulous! So nice to sit at a table with a white tablecloth! Wonderful attention to detail. Friendly waitstaff and manager. Food was excellent and chef brought out a sample of his shrimp salad for us to try. Very comfortable quiet well-run restaurant. The salmon could've been cooked a little less for my preference. The steak was delicious. Amazing Mango Habanero sauce on the short rib appetizer! 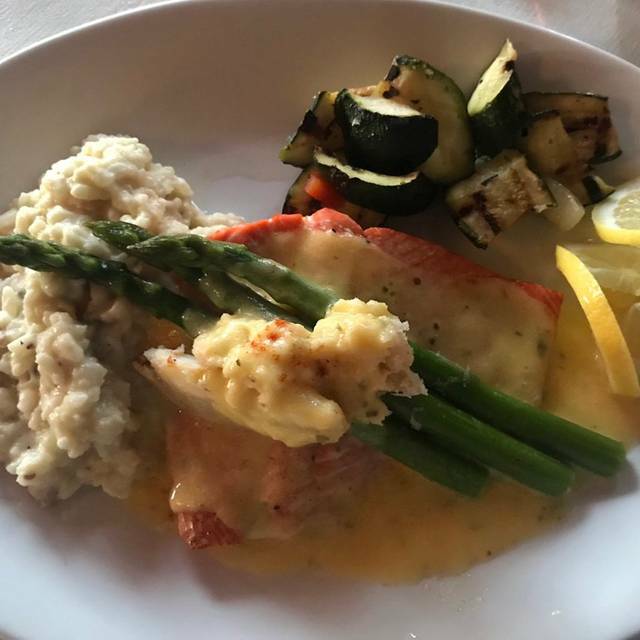 Incredible service, great ambiance and the food was surprisingly significantly better than anything I would have expected to receive in Everett as the quality was excellent. I think Everett is definitely on an upswing for foodies, lots of good food finally showing up in Everett. The Chicken was delicious as were the brussel sprouts with bacon and maple sauce. We'll be back! We were excited for the evening. We had read in the Herald and online that Everett had a new fine dining location. The staff was attentive, but as the meal went on, the service felt pretentious as parts of the meal were so poor for a “fine dining” experience, and their attentiveness to the food and us, felt like an apology. The lobster bisque was excellent and ample but it was served with a cellophane bag of oyster crackers. Fine dining and a bag of crackers, plus the crackers were stale, don’t really go together. The Caesar salad was standard fare with two or three anchovies draped over the top. But why served on such a standard cheap and small plate? If it’s lovely salad, surely it deserved a plate to show it off. The amount of vegetables on both our entrée was under a third of a cup, grilled ahead and tired of waiting to be served. The surf with the turf, was fine. But the steak was a sirloin, cut to look like a filet mignon. Literally impossible to cut through. The waiter gave an elaborate excuse for the cut and did remove that portion of cost from the bill. The braised beef short ribs tasted good but were not fork tender as the waiter said they would be, and the amount of sauce was significantly smaller than the online photos. But it tasted good. And what was with the large flower cut tomato just plopped on each of the plates. Out of proportion and no seasoning or connection to the other foods. Desserts were very good. I wonder, were they made in house? And last, but really first, wash those front white half curtains, iron them, and hem them to fit to the proper length so they hang evenly, not dragging here and there on the sill. Just looking at those curtains before going it, was almost a shutoff. Then to sit inside and see velvet burgundy drapes with a Dollar store plastic gold bow wired around them, seemed to match the whole experience - pompous. I'd hoped for so much more. High quality meal with friendly, professional service. We were not able to be seated right away but that is not the point… The service of the staff was outstanding made every moment comfortable and peaceful and enjoyable I will definitely return again. It was such a enjoyable atmosphere, perfect lighting noise level was low and we were able to have a great conversation between each other for a first date. Food has always been delicious. Service is quietly attentive & efficient. Ambience is warm & romantic. It is one of our favorite restaurants, including the best of Seattle. Our compliments to the chef!! 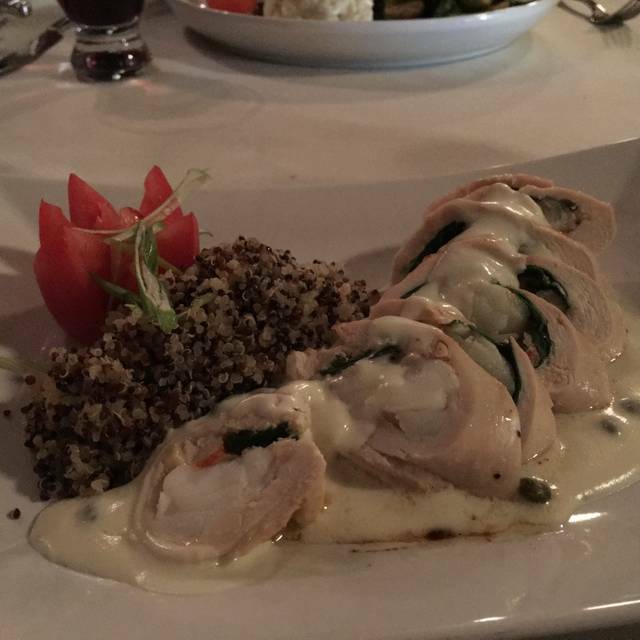 Good food and great service. We were there on New Years Eve, wanted a quite non-party location for dinner. Menu had a good selection of dishes. Service was attentive and friendly. I think we saw the entire wait staff and manager. Each stopping by to see if we were happy and needed anything. Selections were priced as one would expect for steaks and seafood selections. Will defiantly return for future occasions. 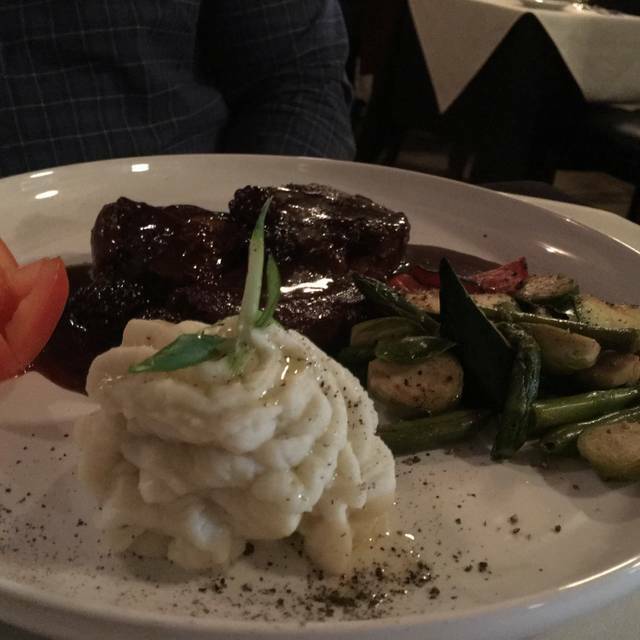 This was our third special occasion dinner at Abbotts and we were not disappointed. We requested a quiet table and were assigned a wonderful spot in the paneled back room. We went for an early New Years Eve dinner. As always the service was great - prompt but we never felt pushed to hurry up. There was a special menu. My wife had surf and turf and I had the fish special. Both were excellent. It is quite a drive for us but well worth it. We will be back! We had a wonderful meal. 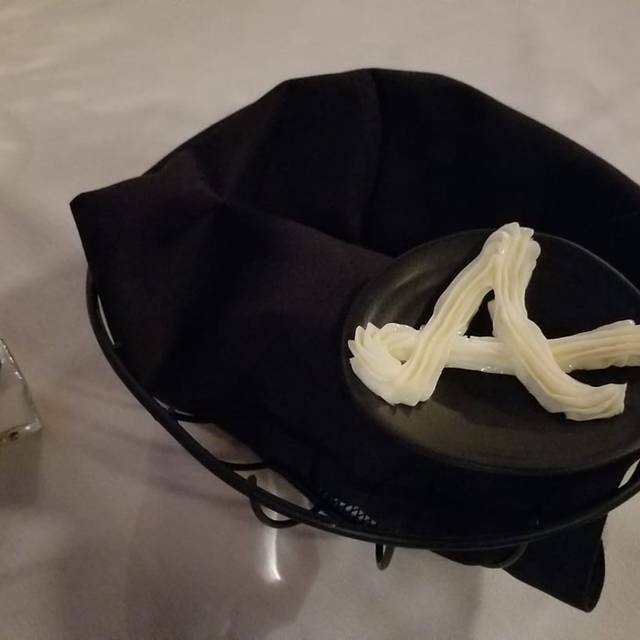 The service was great, the food was delicious, and the portions were generous. We will definitely go back. The food was wonderfully prepared. 18 oz rib eye was prepared medium rare to perfection. Salmon Oscar was absolutely delicious. The service was exceptional. I highly recommend this restaurant. The scallop appetizer was overpriced and not worth the money. The swordfish was overcooked and on the fishy side. They were out of the brusselsprouts special by our 6:30 reservation. Our waitress was young and did not listen to our requests. Overall we were very much looking forward to supporting a new restaurant in Everett but came away very disappointed. This was the best steak I have had in a long time. The staff was amazing and the food was delicious. We have already made another reservation to dine again. I highly recommend this restaurant. It is a hidden gem. Pretty expensive for the regular hard working people of Everett, however, beats driving to Seattle or Bellevue for a good Steak. Perhaps, reducing the price a bit so everyone can have an opportunity to sample their delicious cuisine more often and not only on occasions...just a suggestion. The quality and presentation of the food was excellent. They also had very good cocktails. We had the Vesper. The people were friendly and the interior of the restaurant is very nicely appointed. It is family owned and definitely has that kind of feel to it. I would recommend it for anyone interested in a high end dining experience.